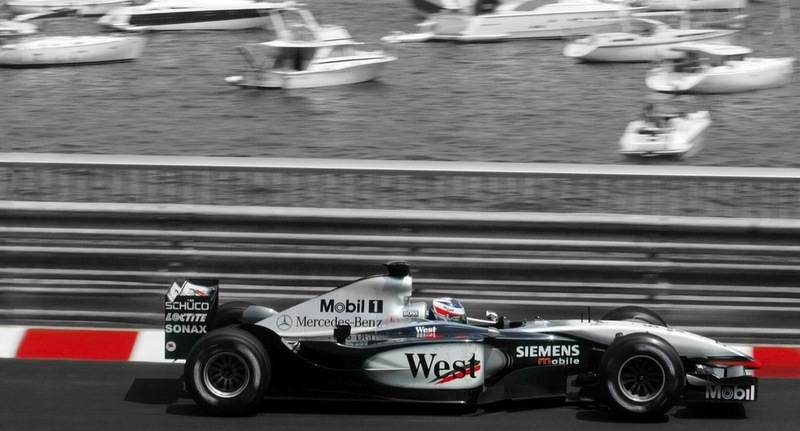 The Formula 1 Monaco Grand Prix is one of the most famous and prestigious races in the F1 calendar. Even those who have never followed motorsports have heard of Monaco (maybe because of Tag Heuer), a highly technical course which winds through the roadways of the famed city-state and playground for the rich and famous. The Monaco GP, now in its 83rd year, highlights prestige, luxury and wealth in a way that few other F1 weekends can match. Super yachts line the shore as on-lookers watch some of the most advanced machines in the world run a tight and aggressive course with more than its fair share of elevation changes. Well-heeled race fans, celebrities and socialites flock to the south-east coast of France to enjoy a truly legendary weekend of screaming race cars, world-renowned casinos and swanky parties. 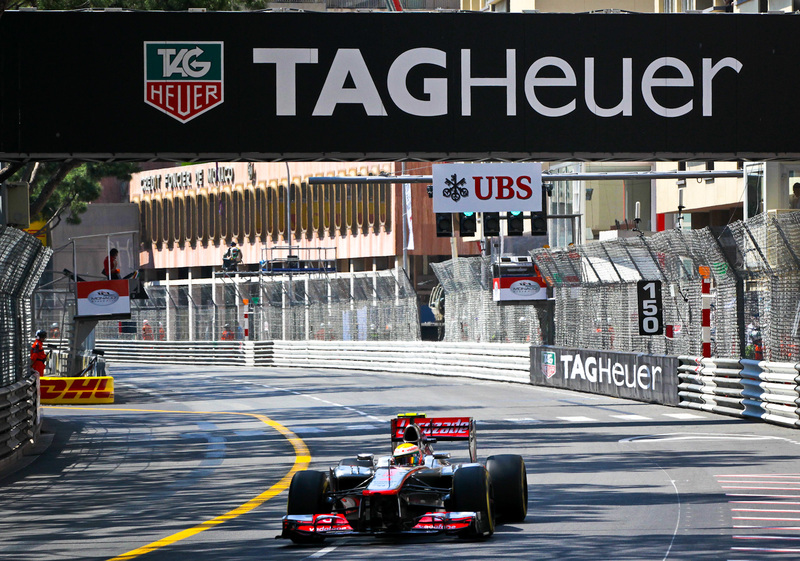 Few watch brands have as strong a symbiotic relationship with motorsports as Tag Heuer. Many of their most famous models are tributes to notable elements within the world of motorsport, consider the Camaro, Carrera, Silverstone, Monza, Formula 1, and of course, the Monaco. Tag has made special editions for not only Mercedes but also McLaren, one of the most successful F1 teams of all time. In addition to the manufactures, Tag Heuer has also seen their brand represented by some of F1’s best drivers, including Alain Prost, Jenson Button, Lewis Hamilton and Ayrton Senna. 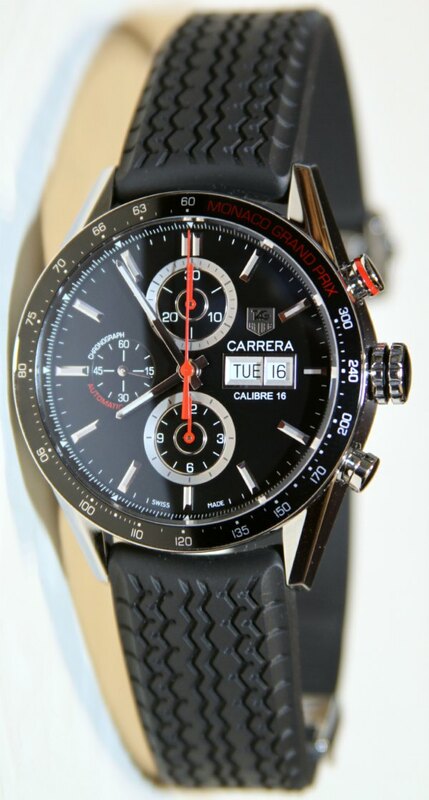 Other brands have tried to connect themselves with motorsports but from track day junkies like Steve McQueen, to modern day World Champions like Jenson Button, Tag Heuer has become the reigning watch brand in motorsports. A big marketing campaign success by most accounts. 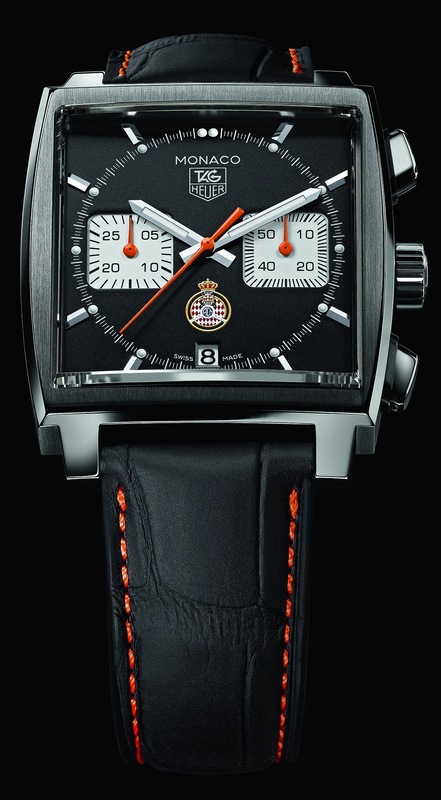 Tag Heuer celebrated the 2012 Monaco GP by announcing four watches, two limited editions that directly commemorate the Monaco Grand Prix, and the “re-release” of two special editions which were previously only available through Tag Heuer boutiques. 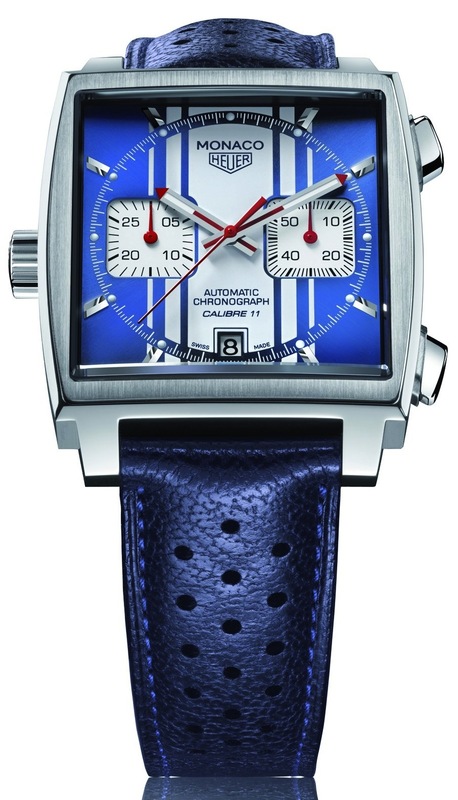 Above is the Monaco Calibre 12 ACM Limited Edition (CAW211K) which celebrates the first year of partnership between Tag Heuer and the Automobile Club de Monaco, the group responsible for organizing a series of races throughout Monaco, including the Monaco Gran Prix. 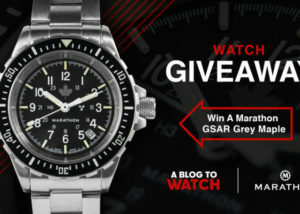 Tag Heuer is their official timing partner and thus created this 39mm black dialed Monaco featuring the ACM logo on the dial. The Monaco Calibre 12 ACM will have a production run limited to 1200 units. 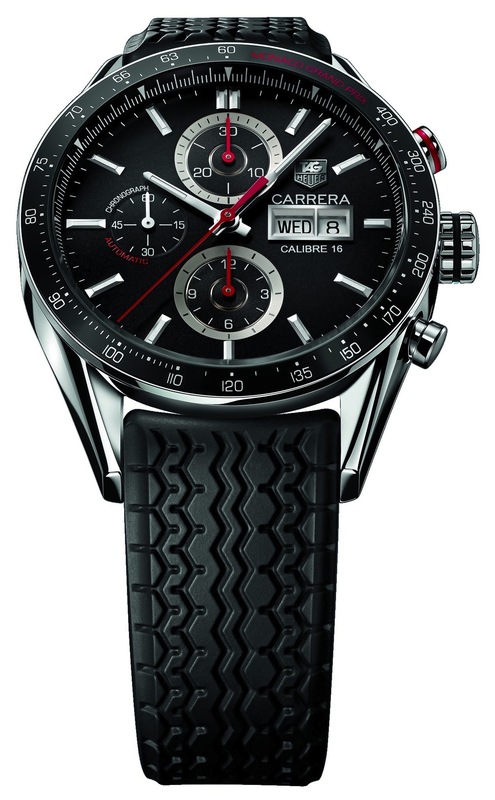 Not one to forget their popular Carrera line, Tag Heuer also announced the new Carrera Calibre 16 Day Date Monaco Grand Prix LE (CV2A1F) which will be limited to 3000 units and can be had with a sporty tire tread-inspired rubber strap or a stainless steel bracelet, both of which nicely suit its 43 mm stainless steel case. I have always enjoyed the Carrera line as they feature a very pleasing case and lug design as well as excellent legibility for a chronograph. This new model sports a simplified dial layout and bright red accents for the second hand and elements of the dial and bezel script. 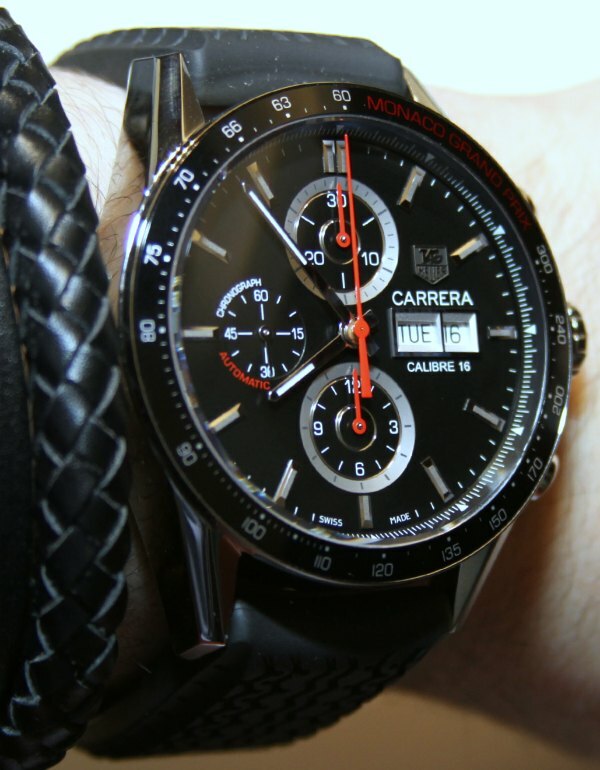 It is really ironic that there is now a Tag Heuer Carrera Monaco watch. Nice and confusing right? Also announced was a duo of bright blue Monacos meant to invoke the memory of Steve McQueen, who wore a Monaco in the 1971 film Le Mans, and has been a considerable factor in the continued popularity of the Monaco line. First, the Monaco Heuer Steve McQueen Calibre 11, a traditional looking blue and white edition of the Monaco that is actually a slightly revised version of a boutique-only model that Tag Heuer announced last year. This is basically a vintage inspired Monaco with bright white racing stripes on the dial and its crown on the left side of the case. 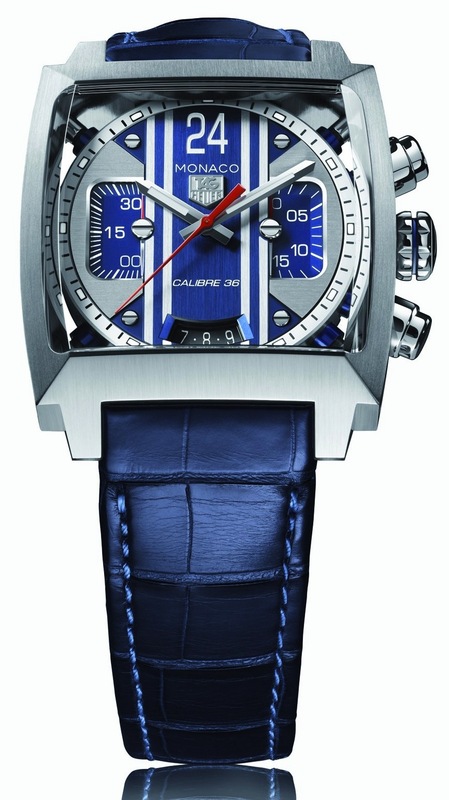 Note the use of “Heuer” and not “Tag Heuer” on the dial and the matching blue leather strap. It is fitting that this vintage inspired chronograph wears the Heuer name on its dial as the original Monaco design launched in 1969, some sixteen years before Heuer became Tag Heuer. Last up is the Monaco Twenty Four McQueen (CAL5111) which is a more modern interpretation of the Monaco form. Featuring a highly detailed dial design, curved crystal and 40.5 mm case, this high end chronograph features an El Primero-based Calibre 36 chronograph movement with an advanced shock absorber system visible at all corners of the dial. This is also a model that is simply seeing a wider release after being a boutique-only offering last year. While pricing has yet to be announced, these special editions are a great way to highlight brand successes and Tag Heuer’s strong connections with not only Formula 1, but specifically Monaco and its famous course. Given it’s provenance as the first automatic chronograph and its truly iconic design, I am a big fan of the base Monaco models and really enjoy how Tag Heuer has managed to protect the style and aesthetic promoted by original models while still promoting innovation and technology through models like the Monaco Twenty Four McQueen. The 24 is very nice… I still think my Gulf version is very striking version of Monaco… Have few of these Monacos’ all are accurate and tastefully retro. Unfortunately I missed the limited edition of the original size blue McQueen Monaco and the Autavia remake. 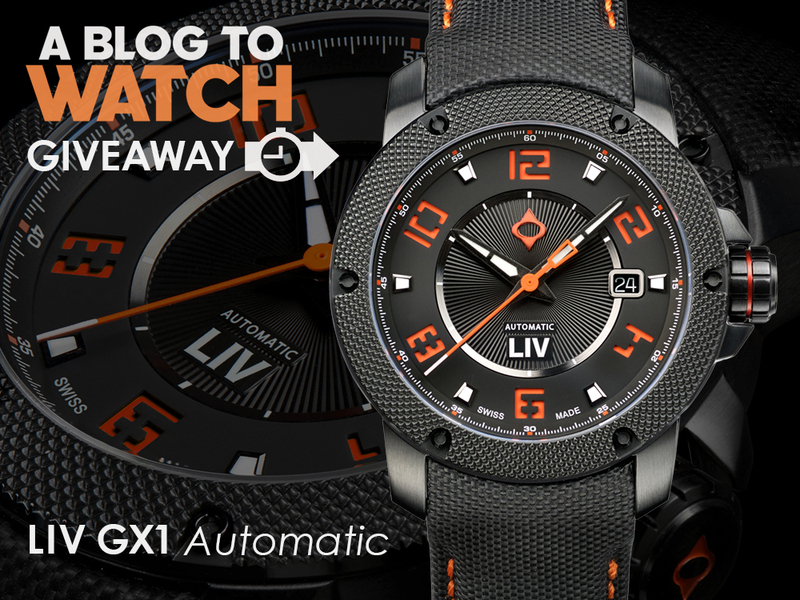 Nice watches but only the 24 is of interest and I’d guess anywhere from 6 to 10K in price.